When you’re installing hardware devices on a PC there can be nothing more frustrating than having something as “Unknown device”. What do you do then? Windows Update can’t find the driver, and you don’t know which one you should install or download manually. Windows makes it easy to identify many hardware devices listed as unknown however. If you open the Device Manager (most easily accessed by pressing the Windows key + X) the right-click on the unknown device you can select its Properties. With the device properties inspector open, click the Details tab and then from the drop-down menu select Hardware IDs. This will usually present VEN_ and DEV_ codes. 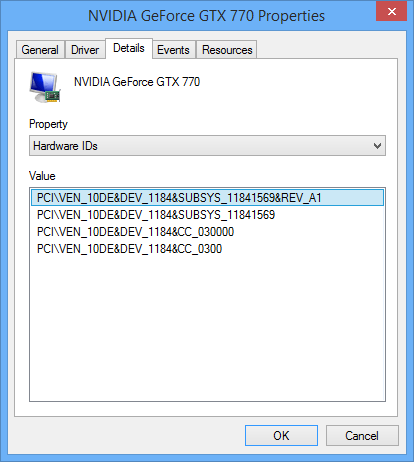 You can search for these codes online to identify the device, helping you to download and install the correct driver to get it working.